THE FLATS – A tradition unlike any other, The Masters … Stewart Cink, Matt Kuchar and 1987 champion Larry Mize teeing it up this week at Augusta National Golf Club while the rest of the golf world takes a break for the season’s first major championship … this and more in the Georgia Tech #ProJackets Golf Report. Georgia Tech’s three most veteran professionals are set to compete in the 83rd Masters this week. Cink, Kuchar and Mize have played a combined 84 years on the PGA Tour (plus Champions Tour in the case of Mize) and competed in 67 Masters tournaments. Cink, the 2009 Open champion, had three top-five finishes in 2018, highlighted by a T4 showing in his first start at the PGA Championship since 2014, which qualified him for the Masters this year. He also finished T2 at the Travelers Championship. Cink has represented the United States in five Ryder Cups and four Presidents Cups. Kuchar became the first multiple winner of the 2018-19 season by logging victories in two of his first four starts, including a four-stroke triumph at the Sony Open in Hawaii and a one-stroke win at Mayakoba. He won multiple tournaments for the second time in his career (2013), contributing to his nine PGA Tour wins. Kuchar, a member of four U.S. Ryder Cup and four Presidents Cup teams, has three top-five finishes at the Masters and won low amateur honors in 1998, his sophomore year at Georgia Tech and the year after winning the U.S. Amateur championship. Mize, an Augusta native, hit one of the most memorable shots in Masters history, chipping in from 140 feet on No. 11, the second playoff hole, to prevail over Greg Norman in the 1987 Masters. He has four PGA Tour victories and one Champions Tour title, and was a member of the 1987 U.S. Ryder Cup team. Cink and Mize are grouped together for the first two rounds with American Jimmy Walker, teeing off at 11:48 a.m. Thursday and 8:52 a.m. Friday. Kuchar is paired with American Zach Johnson and Great Britain’s Ian Poulter, teeing off at 1:05 p.m. Thursday and 9:58 a.m. Friday. Web.com/Champions Tour: Both tours are off this week for the Masters and resume the weekend of April 18-21. 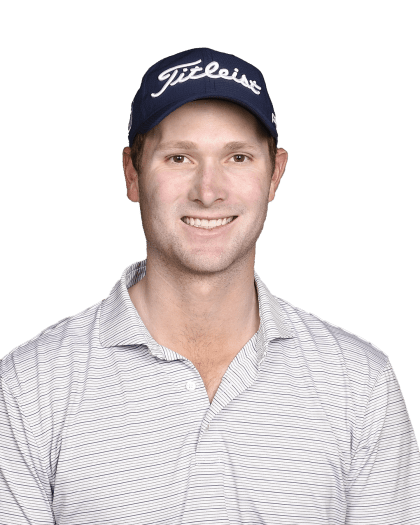 Mackenzie Tour: Chris Petefish, who has played some SwingThought.com Tour events in 2019, competed for a spot on the the Canadian Tour last week at the USA West Q-school event in Litchfield Park, Ariz., but did not qualify, finishing 18th with a 2-under-par total for 214. Petefish, a 2018 Tech graduate, had some status on the Canadian Tour last summer, playing in four events.